One of the most preferred colors that dignify celebration is yellow. The shade of yellow is considered as a color of purity. In every happy occasion when everyone is in a mode of celebration yellow color justifies it all. So why not present a bouquet of yellow flowers full of sunshine to the one who is actually really close to you. We are here with our exclusive range of yellow flowers and that too in very presentable manner. Presenting flowers is a tradition so old. Flowers are a sign of love and respect. Whenever one need to show a deep concern for a person close whether in respect, love or gratitude flowers are best used to carry the sentiments. For every occasion when you are supposed to cheer up the environment with presents, gifting a bouquet of fragrant yellow flowers will surely make a difference. 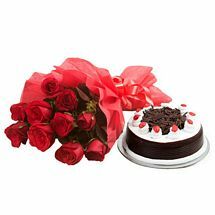 For occasional gifting no doubt flowers are the most preferred choice but the significance of each flower and color differentiates the need. We are here with a huge array of yellow flowers; from romantic yellow roses to traditional tulips to gorgeous gerbera you can find a big assortment of mesmerizing flowers in yellow shade. These flowers are best for all the occasion. For example if you are looking for yellow flowers for birthday, anniversary, wedding, Valentine Day, Get well soon or any such occasion you can buy or Send Yellow Flowers Online to India with free delivery across India.